You will find below the horoscope of Charlotte Hudson with her interactive chart, an excerpt of her astrological portrait and her planetary dominants. If you know the time of birth of Charlotte Hudson, we would appreciate it if you would send us your information with your source, at stars@astrotheme.com. To thank you for contributing to the enhancement of our astrological database, we shall be glad to send you the astrological portrait (34 pages) of this celebrity. Horoscopes having the same aspect Mars trine Neptune (orb 1°26'): Angelina Jolie, Jean-Marie Le Pen, Michelle Pfeiffer, Françoise Hardy, Russell Brand, Paul Newman, Frédéric Chopin, Kesha (singer), Jimmy Page, François Mitterrand, Robert Smith (musician), Jean-Paul Sartre... Find all the celebrities having this aspect. Horoscopes having the same aspect Moon square Saturn (orb 2°15'): Blake Lively, Winona Ryder, Natalie Dessay, Steven Spielberg, Fergie (singer), Jeffrey Dahmer, Elton John, Nick Jonas, Jamel Debbouze, Judy Garland, Anne Sinclair, Harvey Weinstein... Find all the celebrities having this aspect. Celebrities clicked on in real-time: 576,769,481 times. Charlotte Hudson (born in Sheffield, South Yorkshire, England on 4 January 1972) is a presenter on the Sky One television series Brainiac: History Abuse, a spin-off from the award-winning Brainiac: Science Abuse. She can still be seen in the original Science Abuse series hosting the "I Can Do Science, Me" segment. Hudson can also be seen appearing in the comedy sketch show Bruiser alongside the likes of Mitchell & Webb, Olivia Colman, Martin Freeman, and Matthew Holness. After attending Fitzwilliam College, Cambridge, she started in television co-presenting Watchdog with Anne Robinson. She has also appeared as an actress in various UK TV shows (see her CV at her management site). Here are some character traits from Charlotte Hudson's birth chart. This description is far from being comprehensive but it can shed light on his/her personality, which is still interesting for professional astrologers or astrology lovers. 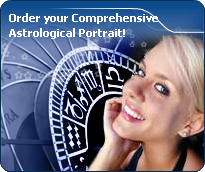 In a matter of minutes, you can get at your email address your astrological portrait (approximately 32 pages), a much more comprehensive report than this portrait of Charlotte Hudson. Warning: when the birth time is unknown, which is the case for Charlotte Hudson, a few paragraphs become irrelevant; distributions in hemispheres and quadrants are meaningless, so are dominant houses and houses' accentuations. Therefore, some chapters are removed from this part. Charlotte Hudson, Fire is dominant in your natal chart and endows you with intuition, energy, courage, self-confidence, and enthusiasm! You are inclined to be passionate, you assert your willpower, you move forward, and come hell or high water, you achieve your dreams and your goals. The relative weakness of this element is the difficulty to step back or a kind of boldness that may prompt you to do foolish things. Cheers for communication and mobility, Charlotte Hudson! The predominance of Air signs in your chart favours and amplifies your taste for relations and for all kinds of short trips, whether real (travels) or symbolic (new ideas, mind speculations). You gain in flexibility and adaptability what you lose in self-assertion or in pragmatism. Charlotte Hudson, the Cardinal mode is dominant here and indicates a predisposition to action, and more exactly, to impulsion and to undertake: you are very keen to implement the plans you have in mind, to get things going and to create them. This is the most important aspect that inspires enthusiasm and adrenalin in you, without which you can grow weary rapidly. You are individualistic (maybe too much?) and assertive. You let others strengthen and improve the constructions which you built with fervour. The three most important planets in your chart are Mars, Saturn and Jupiter. In your natal chart, the three most important signs - according to criteria mentioned above - are in decreasing order of strength Sagittarius, Aries and Leo. In general, these signs are important because your Ascendant or your Sun is located there. But this is not always the case: there may be a cluster of planets, or a planet may be near an angle other than the Midheaven or Ascendant. It may also be because two or three planets are considered to be very active because they form numerous aspects from these signs. After this paragraph about dominant planets, of Charlotte Hudson, here are the character traits that you must read more carefully than the previous texts since they are very specific: the texts about dominant planets only give background information about the personality and remain quite general: they emphasize or, on the contrary, mitigate different particularities or facets of a personality. A human being is a complex whole and only bodies of texts can attempt to successfully figure out all the finer points. Your thirst for learning is considerable, Charlotte Hudson, and you can spend a lifetime studying languages, geography, philosophy and law, particularly. You are open-minded and you want to abolish all kinds of frontiers. The humanist, who is dormant in you, may turn into a “frequent traveller” reaching out to others in order to understand them and communicate with them. You express your opinions and your beliefs with honesty and clarity and likewise, you receive others' views with enthusiasm. You have numerous centres of interest and you may be perceived to be superficial, heedless and over-optimistic. However, if you manage to control your tendency to scattering, all your encounters, all your discoveries can positively influence your philosophical life approach. In your chart, the Sun is in Capricorn and Venus, in Aquarius. This configuration opposes two idealisms. For the Sun in Capricorn, love needs to be built, protected and perpetuated… For Venus in Aquarius, love is constantly evolving and desire stems from the promise of an emotion that is yet to come. This configuration is traditionally considered to be of a cerebral nature. Intellectual pursuits, fraternal exchanges and closeness are important components. The balance is certainly fragile but it is so exciting… Venus in Aquarius does not want the relationship to stiffen, whereas the Sun in Capricorn strives to maintain it as it is. What seems assimilated once for all is yet to be reinvented. These signs are either complementary or opposite. Your desires may contradict your aims and upset your beliefs. Or Capricorn’s prevailing values may dismiss all unexpected events. It may also be that Venus in Aquarius, attracted by new prospects, upsets the structured world of the Sun in Capricorn. Your affective balance is based on challenges. These two signs may succeed in their quest for the absolute. You are rightly seen as an idealist. Indeed, is there anything more beautiful than ideals? In love, you are more cerebral and friendly than really passionate, Charlotte Hudson. You are made for amorous friendships, for refined and light feelings where each partner retains one's freedom, and almost detachment, without getting really committed. Sometimes, you may be distant from, and indifferent to, love matters for a while, because you can be completely engrossed in original intellectual pursuits and the collective atmosphere which you are so fond of. You substitute a great number of friendly and light contacts to amorous relationships and it is fair to say that they satisfy you. To fall in love, you need spice and a partner who is original, who amazes you and whom you admire; under such conditions, you can freely express your feelings in an ambiance devoid of constraint, where freedom is perfectly respected and shared within the couple. Impulsive, impatient, quick and energetic? You? Yes of course, Charlotte Hudson. You are courageous and able to make intense and huge efforts for a short while; and what a terrific rhythm! In sport, of course, or in your sexuality, you are not the type who ponders, you take action instinctively, “in a rough and ready way”. You are outspoken, you do not worry about other people's opinion and you do not allow them to slow you down or to judge you. You must succeed or fall apart. You cannot be bothered with diplomacy or with compromises. You are too straightforward and unyielding to waste time with finesse or shrewdness. This is what makes you charming because, with you, one always knows where one stands. This text is only an excerpt from of Charlotte Hudson's portrait. We hope that it will arouse your curiosity, and that it will prompt you to deepen your knowledge of astrology, as well as to visit and use the wide range of free applications at www.astrotheme.com.